Deal Physical damage with a 50% chance to attack again. Each hit has a 60% chance to inflict Target Lock for 2 turns. 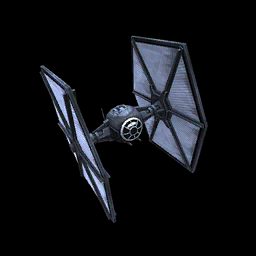 First Order TIE Fighter gains 15% Turn Meter whenever a Target Locked enemy is damaged by an attack. Enter Battle: Inflict Target Lock on target enemy for 2 turns, which can't be Evaded or Resisted. All allies gain 15% Turn Meter. Deal Physical damage to target enemy. Target Lock: Strafe's cooldown is refreshed.